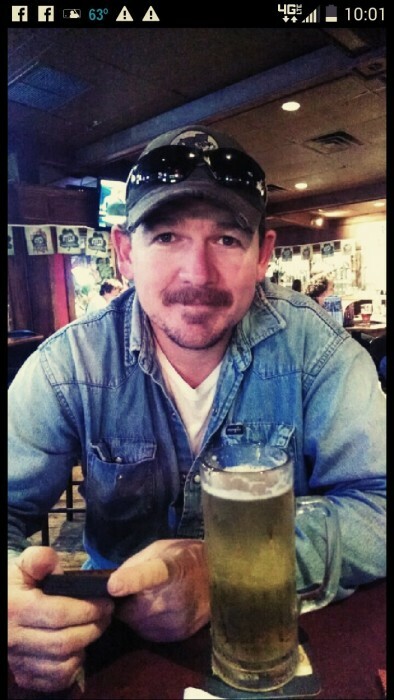 Jared “Beaver” Ray Myers, age 42, went to be with the lord on Monday March 25, 2019 . He was born in Houston, Texas on March 27, 1976 to Leta Mae Douglas Myers and Bobby Ray Myers. He enjoyed hunting and fishing, but most of all spending time with his family. He was a very simple man who never met a stranger and was always helpful to all. He would give the shirt off of his back to anyone in need. He was very positive, patriotic and loved everybody and will be deeply missed and loved by all who knew him. He is preceded in death by his papa and granny, Neal and Athalene Douglas and his mamaw and pappa Troy and Mildred Myers. Beaver is survived by his parents; his beloved wife, Kimberly Myers; his children, Nicolas and Christian Reeves; his brother, Justin Myers and his niece and nephew, Katelyn and Tanner Myers. Also survived by other relatives and many friends. A visitation for family and friends will be held at Sterling-White Funeral Home 11011 Crosby-Lynchburg Rd. Highlands, on Friday evening March 29, 2019 from 5:00 p.m. until 8:00 p.m. Services will be held on Saturday morning March 30, 2019 at 11:00 a.m. in Sterling-White Funeral Home. Interment will be in Huffman Community Cemetery. Arrangements entrusted to Sterling-White Funeral Home 11011 Crosby-Lynchburg Rd. Highlands, Texas 77562. To offer condolences to the family, please visit www.sterlingwhite.com.